China is an immense land with a history spanning thousands of years, and its needs and problems are perhaps too many for a single deity to watch over. This book begins to explore the veritable army of gods, immortals, and deities to whom the Chinese have turned for help, support, and intervention�not just in the annals of history but also in the bustling modern world. 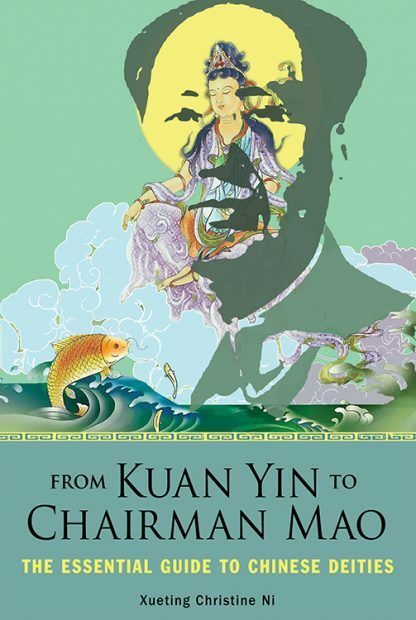 From Kuan Yin to Chairman Mao offers fascinating insight into the complex interweaving of China�s main religions and folklore and the way the gods themselves have evolved to meet changing challenges, finding their way from scriptures and statues to vouchers and videogames. Author Xueting Christine Ni recounts the stories of 60 Chinese gods and goddesses, selected from across the spectrum of China�s mythical beings, deified heroes, gods, goddesses, and immortals. They derive from Taoism, Buddhism, Confucianism, and folklore, as well as revered sages and protective deities from other traditions. Get to know Kuan Yin, the goddess of mercy; Zhong Ku, the demon slayer; Tian Hou, the goddess of the sea; the beloved Monkey King, and a host of other Chinese deities, both ancient and modern. Xueting Christine Ni was born in Guangzhou, during China's "re-opening to the West". Having lived in cities across China, she emigrated with her family to Britain at the age of 11, where she continued to be immersed in Chinese culture, alongside her British education, realising ultimately that this gave her a unique a cultural perspective, bridging her Eastern and Western experiences. After graduating in English Literature from the University of London, she began a career in the publishing industry, whilst also translating original works of Chinese fiction. She returned to China in 2008 to continue her research at Central University of Nationalities, Beijing. Since 2010, Xueting has written extensively on Chinese culture and China's place in Western pop media, presenting publicly in collaboration with companies, theatres, institutions and festivals. Having worked on manhua, poetry, documentaries and science fiction, she continues her literary translation of China to the West, with a mission to help improve understanding of Chinese heritage, culture and innovation, and introduce its wonders to new audiences. Xueting currently lives in the suburbs of London with her partner and their cat, both of whom are learning Chinese.